Col Brigade of Gurkhas sends his Dashain wishes to all the serving Gurkhas around the Brigade. Dashain is upon us once again. Another year has passed and it has been a monumental year for the Brigade. The bicentenary of our service to the Crown this year marks a crucial milestone in our history and it is proper that we reflect on this significant achievement and more. We continue to excel in all that we do and our professional excellence adds to the Gurkha reputation. However, we should equally remind ourselves of the fact that we derive strengths from our distinct cultural identity. It is our duty to uphold and maintain it by embracing every opportunity available and Dashain offers just one such an opportunity. Nepal was hit by a dreadful natural disaster this year. Several thousands of lives were lost and homes destroyed in the April earthquake. The Brigade’s response was swift and it was humbling to see so many of our serving personnel and families engaged in their collective effort to raise money and send provisions in support of the relief work which still remains on-going. Our deepest sympathy remains with all those affected and I thank you all for your outstanding contribution. The Brigade has delivered significant and valued good work throughout its contribution to the Army as a force for good. Our reputational stock is high and we are valued as an effective military organisation designed for operations in any theatre in which the British Army is involved. Our priority must be to continue to deliver the high standards of operational effectiveness for which the Brigade is renowned. We have, as always, many demands ahead of us in 2015. But our reputation could not be higher and we must keep it that way. This means maintaining the high levels of discipline, humility, professional output and character that our forefathers are famous for. Dashain is a time to focus on our families and thank them for the love and support that they give us. To you goes our deepest gratitude and affection. Your strength and fortitude enables us to be who we are – Gurkha soldiers – knowing that we are supported by our families and, within that, I want to acknowledge our ex-servicemen and their families who have chosen to join us here in the UK. It is good to see our old friends again and welcome you back to your Brigade family in the UK. I mentioned our important milestone at the outset. The Gurkha 200 celebration calendar was dominated by a number of high-profile events held in the UK, Nepal and around the world. These events provided the Brigade with a unique opportunity for exposure thereby enhancing our reputation further. I thank you all for your active support. 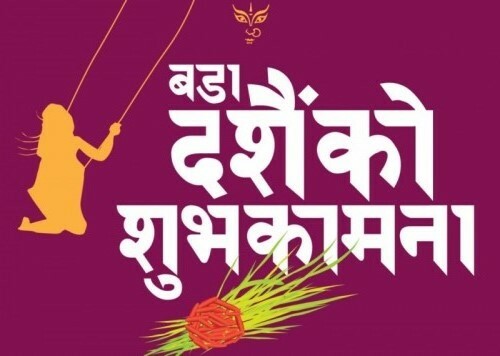 To all members of our Brigade, young and old, our soldiers and their families – both near and far – I send you my warmest wishes for a happy Dashain, and a peaceful but fulfilling year ahead. I wish you all a joyful Dashain and prosperous Tihar 2015.